Rockitsessions and Orphic have partnered on an exclusive, 2-day experience that will serve as a coveted rock star oasis during the Sunset Music Festival only 50 feet from the SSMF main stage! Guests will indulge in delicious bites by State Social cocktails by Maestro Dobel tequila, Hochstadter’s whiskey and Dos Equis while being pampered with massages and luxury gift bags which will include rock designers such as Max Noce, Nicolina Royale and others. Guests will also enjoy a silent auction with one of a kind memorabilia from superstars the likes of Marilyn Manson, Steve Stevens, Britney Spears, Metallica, Judas Priest, and the world famous collection of music video director and photographer Dean Karr. 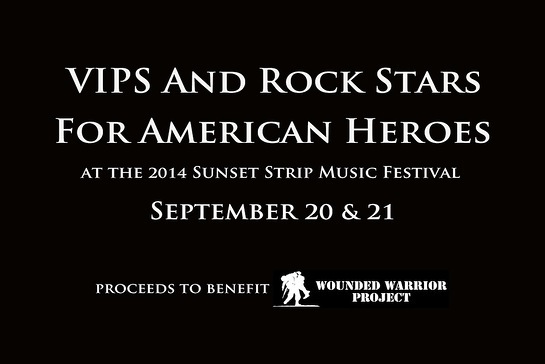 Autographed guitars provided by Fender USA, Dean Guitars and Floyd Rose Guitars will also be up for grabs to raise funds for the Wounded Warrior Project whose purpose is to raise awareness and enlist the public’s aid for the needs of injured service men and women and provide assistance programs for their lifetime. Special acoustic performances by rock legends such as Billy Duffy from The Cult as well as many other famous rocker friends offering up surprise performances and DJ sets throughout the weekend. Jerry Cantrell from Alice in Chains, members of Marilyn Manson, Filter, The Cult along with festival performers are expected to attend.